For people who are not sufficiently knowledgeable about the medical field, such term may sound like something related to training for a job. Occupational therapy is as alien as that for those who have never heard of it before. Nevertheless, the discovery of occupational therapy, a method of treating and helping physically and mentally disabled and sick individuals, has gained recognition in numerous health care institutions. Among the age groups which this therapy has substantially been helpful with is the elderly. Occupational therapy specialized in geriatrics or caring for the elderly enables senior citizens to go through their day-to-day activities by assisting them and guiding them to overcome the challenges that go with aging. Assisting in life transitions. An elder faces numerous transitions during their seniority years like retirement, relocation, or widowhood. Due to these changes in one’s life, one may possibly succumb to depression which can possibly lead to suicidal attempts. With an occupational therapist who could guide the elderly all throughout these transitions, the possibility of feeling depressed would be eliminated. Surrounding with personalized modifications. Senior citizens’ houses should be convenient enough for them. Their houses shall be maximized to promote participation in the elder’s daily life activities. Among the modifications which occupational therapists can provide are semi-automatic cutting boards, built-up eating utensils, bathtub bench, or handles. Preventing falls. A portion of the population of senior citizens gets their injuries from accidental falls since their bones are more fragile and they have slower reflexes. This situation often occurs when no precautionary measures are adopted by households to make the house safer for their elderly loved ones. But with the help of an occupational therapist, a senior can be taught how to stay active, to conserve energy, and most importantly, to prevent falls. Reinforcing caregiving. Many other challenges come with taking care of an elderly. Guidance or counseling provided by an occupational therapist to a care provider- whether a professional one or a family member- could already make a big difference. They would teach the caregiver the right decisions to make in varying circumstances and they would take on the harder part of the responsibilities if needed. Promoting health. 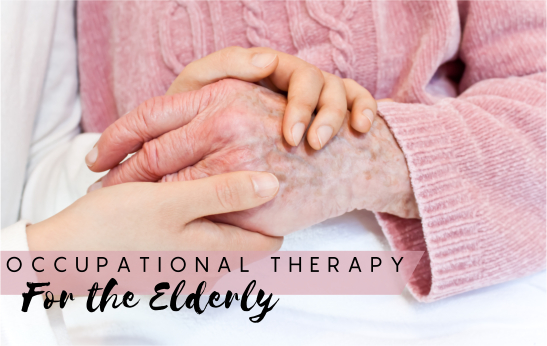 The overall impact of getting an occupational therapist for an elderly is observed through one’s holistic well-being. Besides, it is the ultimate goal of getting help from these experts, right? The therapist can give educational devices and techniques to foster longevity and promote a healthier lifestyle. Occupational therapy from your trusted Rehabilitation Services in Flemingsburg, Kentucky could change an elder’s life for the better. Never wait until it’s already too late. Contact Pioneer Trace Healthcare &Rehabilitation now. This entry was posted in Rehabilitation and tagged helping physically, mentally disabled, sufficiently knowledgeable. Bookmark the permalink.